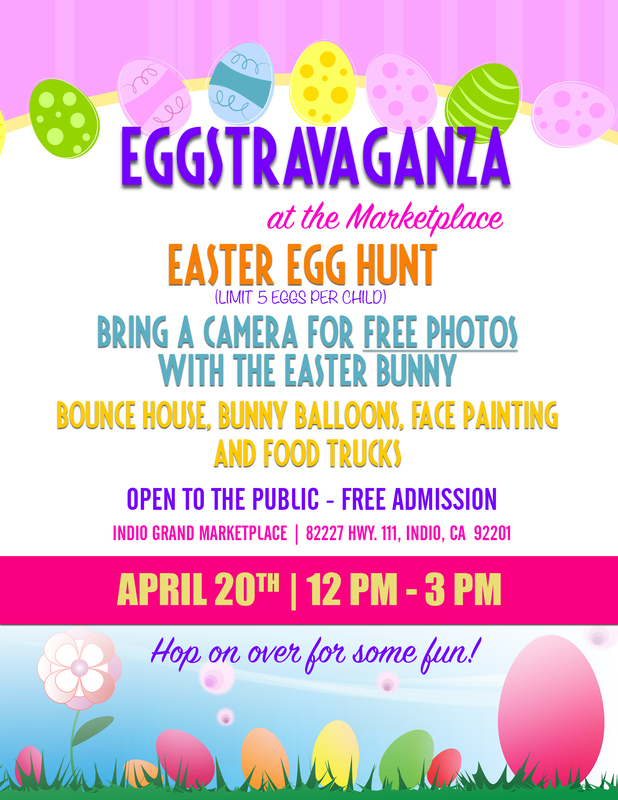 Bring your kids to Indio Grand Marketplace on Saturday, April 20th, 2019 for EGGSTRAVAGANZA, a free event for families to celebrate the Easter holiday. FIRST 200 KIDS GET FREE BASKETS! Copyright Haagen Co. 2019 - Designed by Digital West Media, Inc.